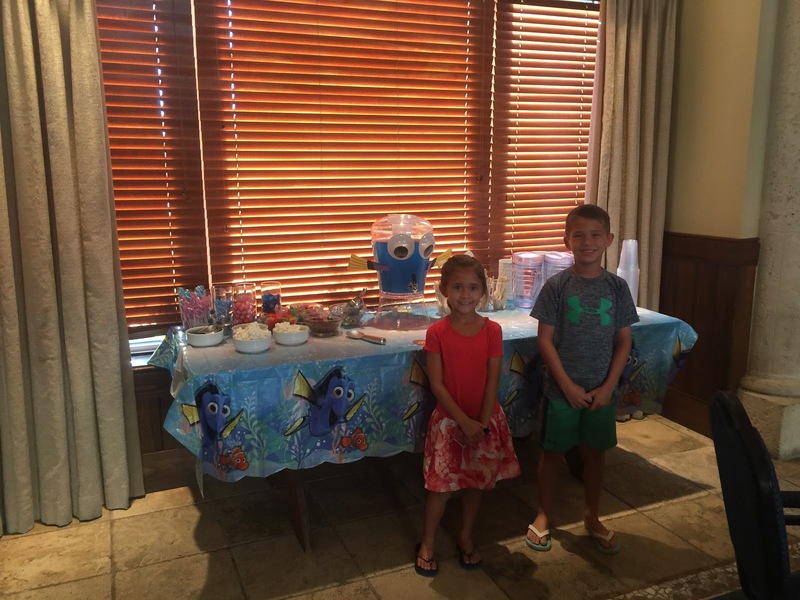 The kids went to a "Finding Dori" themed party at the beach club. There were a bunch of kids that went and Paige was excited that Abby, who lives in our neighborhood and rides their bus, was there too. The kids did a scavenger hunt, ate dinner, did some artwork, and played some games with everyone. Andrea and I went out to dinner and did a little shopping. When we picked them up, they were playing "Duck Duck Goose" and they were pretty wound up and in great moods.